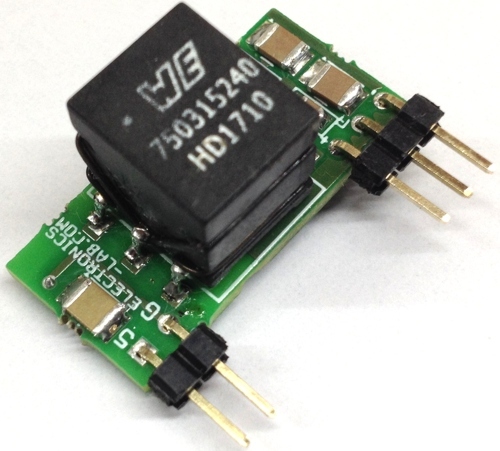 Mini Isolated Power Supply is designed for CAN, RS-485, RS-422, RS-232, SPI, I2C, Low-Power LAN applications. 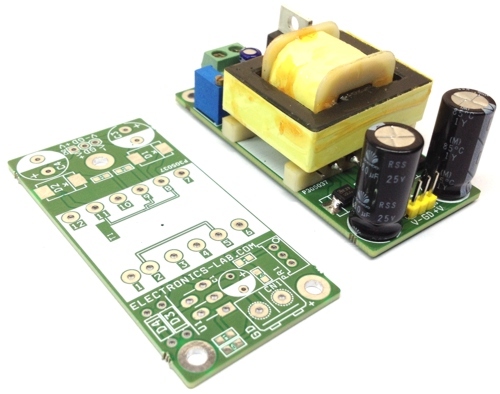 The power supply provides +/- 5.50 V DC symmetrical outputs with load current 500mA from 5V DC input. 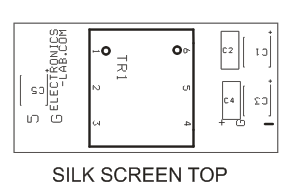 The project is built using SN6505A IC from Texas instruments. 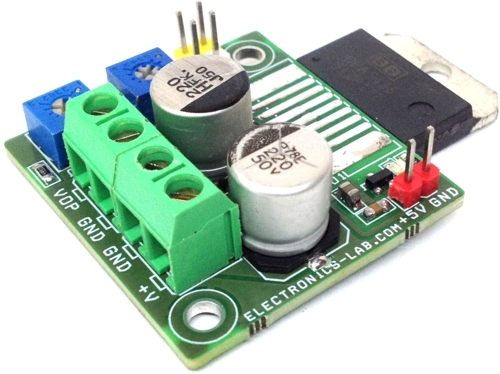 The SN6505A is a low-noise, low-EMI push-pull transformer driver, specifically designed for small form factor, isolated power supplies. 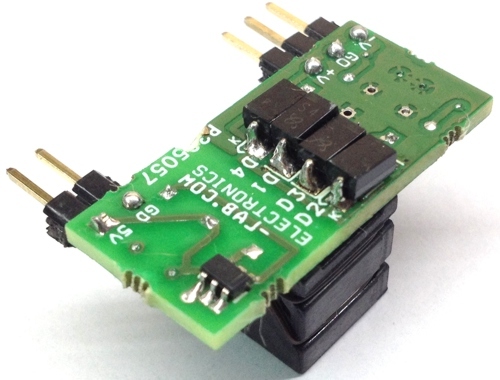 It drives low profile, center-tapped transformers 5 V DC power supply. 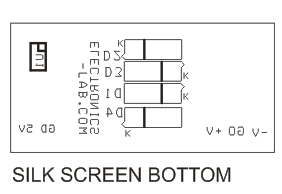 Ultra-low noise and EMI are achieved by slew rate control of the output switch voltage and through Spread Spectrum Clocking (SSC). 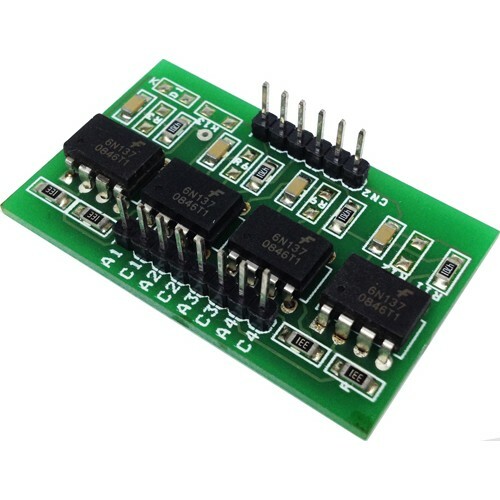 The SN6505 consists of an oscillator followed by a gate drive circuit that provides the complementary output signals to drive ground referenced N-channel power switches. 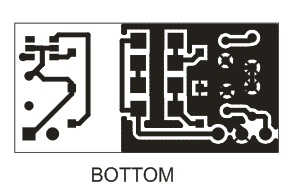 The device includes two 1-A Power-MOSFET switches to ensure start-up under heavy loads. 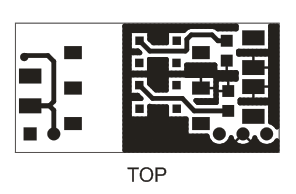 The internal protection features include a 1.7A current limiting, under-voltage lockout, thermal shutdown, and break-before-make circuitry. SN6505 includes a soft-start feature that prevents high inrush current during power up with large load capacitors.